approximately 54 meters per second. It takes talent for a skydiver to break 200 mph. They have to stand up. Dude might not have been doing more than 100. Another One Bites The Dust, and another ones gone, Merkel Quits ! My laptop has sailed it’s last cosmic voyage. You probably don't want my advice. I'm hooked on Apple. I use MacBook Pro, the 13 inch. Pricey, but once you get used to Mac it's hard to use anything else. I have a Windows laptop for my little storage biz, but I don't love it. But it's a Samsung. Cheap, and it's been a good computer. Not close to new. If you go to Computer Renaissance you can pickup good refurbished units for $100. I got a little Linux unit from them which works great. Spending a little more, the mid-range Dells get very high marks, around $500-$800. 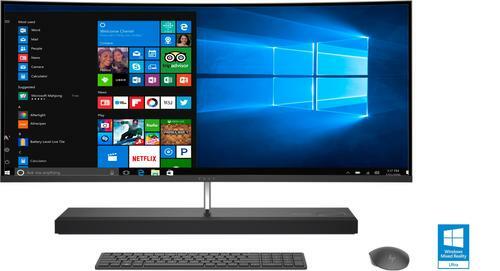 If you're not concerned with portability, get a Big Screen All-in-One from Dell or HP. All that Screen Real Estate is very eye-friendly. More RAM is good, with any OP system, although Linux is the least RAM intensive and will get you a pretty good unit used & refurbished for around $200. I wouldn't buy a Windows or Apple unit with less than 8MB of RAM. In the new computer market, again you have the question of how much Portability you want. If you go with a desktop unit, you can get cheaper and it's more easily upgradeable over the time span you are looking at of 4-5 years. I generally expect only 2-3 years out of my computers, though some have lasted a good deal longer than that, up to around 5 for a laptop. It's tough to find a $400 new laptop with more than 4MB of RAM. But you can generally upgrade the one you buy for about another $100 with another 4MB. If you go with Linux and a refurbished model, you can get cheaper. It will do what you want, you're not producing vids yourself, just watching them. You're not a Gamer, so massive amounts of RAM aren't necessary. 4 is skimpy, but 8 is enough for most applications now. I took my 4 year old laptop and had it refurbished and upgraded to 8MB of RAM and a Solid State Hard drive and a new install of Windows for around $250. It is now blazingly fast and clean. It probably will give me at least another 2 years of service. The motherboard processor is a bit long in the tooth though and you can't upgrade those in a laptop. In your position, I would either shop the used market or look for a good ON SALE new unit at Walmart. I’m using my car stash funds to replace the damaged unit. I’m on my employers device to access the web. I may take the old unit into the “guy” later for a $35 once over. Charges incurred are used towards repairs & parts. Seems fair. Kathy’s used him before & says he’s a straight shooter. I may do a drive by to WallyWorld on the way back. I like those new all in 1 touch screens. I bought a used laptop a few weeks ago for $400. I needed a Windows machine as all my regular computers run Linux. I bought it at REPC in Seattle, a local computer recycling place. It is a Lenovo Thinkpad P7 machine which came with a 1 Terabyte SSD instead of a Hard Disk. The SSD almost doubled the price and is brand new. It is a high quality computer at a cheap price and not too old. The recycling place gets hundreds of good laptops from people losing their minds in one way or another all the time. They only offer good computers for sale at prices well below new and the computers are all checked out. It does not matter to me that the computer is a few years old. It is in great shape and more like new computers than different from them. If the battery turns out to be weak I'll buy a new one. I'd go to a recycling place for the best bang for the buck. * The downside is a small screen but Thinkpads are all made to be used in meetings and for that they have a VGA connector on the side. If I need a bigger screen plugging in a monitor is easy. That's a very good price. What's the processor? On Sunday, November 11th, 2018, Dr. Russell T. Bain, newly married and full of life, allegedly committed suicide taking his own life. We are told there are no witnesses. From what we have been able to find, little to nothing was written up about him and four days after he died, his funeral services were held. Dr. Bain, who had practiced medicine for 27 years, was the founder of the Florida Medical Marijuana Institute and dispensed CBD oil to his patients (he was legally authorized to prescribe medical marijuana for children and adults with qualifying medical conditions).